Phi Kappa Psi will no longer require chapters to use an alumnus from their specific chapter in the case of a Judicial Committee hearing against a member. This will lighten the burden for colonies and chapters with scarce nearby and adequate alumni. Chapters will now include a Health and Wellness committee. The absolute power of the Grand Arch Council has been clarified, which means this is the supreme governing body of the Fraternity. This had been previously misconceived as the Executive Council. A new policy was introduced which will prevent naming issues that may occur when multiple new colonies exist in a state, but do not charter in the same order that colonies were formed. A reporting amendment requiring individual Executive Council votes to be reported and submitted in the respective minutes has been added. A new provision will provide an opportunity for the membership-at-large to remove national officers between Grand Arch Councils when faced with a lack of leadership or worse. The unit rule regarding initiation for those eligible for membership has been eliminated. Instead, chapters will only be required to maintain an 80% affirmative vote to initiate new members. 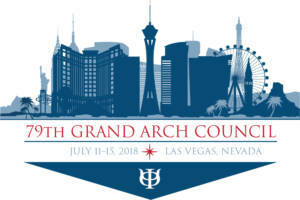 And finally, the Grand Arch Council voted to restructure the Permanent Fund as a separate tax exempt corporation in order to protect the fund’s assets.